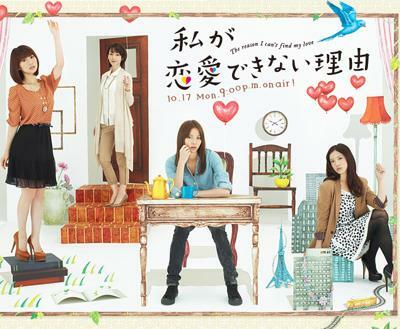 Watashi ga Renai Dekinai Riyuu (私が恋愛できない理由 - The reason I can't find my love) is a Japanese TV series (ドラマ) that tells the story of 3 girls (+a woman) in search for love. The three girls went to live together to feel less lonely and have more fun, but they have a totally different personality, what will happen? The target it's a little girlish, but I find the series very interesting and funny. It's composed by 10 episodes 50 minutes long, a torrent with english subtiles can be found easily on the net. Learn Japanese Colors with my Android App! 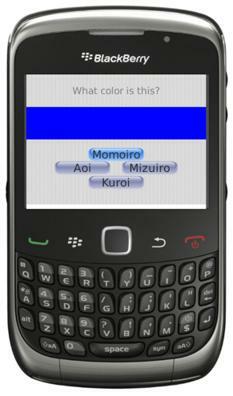 Remember my BlackBerry app to learn the Japanese Colors? I have submitted it to the App World, but it hasn't been approved yet. Maybe RIM it's still busy approving the thousands of PlayBook apps that has been submitted last month to get a free developer device. Meanwhile I ported it to Android and published on the Android Market Google Play. It's an easy game, but it's lightweight and I think that in a few minutes you will know the most common Japanese Colors. Ps: did I mention that it's free? For my upcoming japanese course, I created an app for memorizing the most common japanese colors. The app is not available on App World, due to some bugs, it's in private beta, just contact me to have it. Have you ever desidered to type something in Japanese on your Pc, but you did not because, honestly, is not worth to install the 300mb asian pack, the language bar, and a virtual japanese keyboard just to type a simple sentence?